Nutrition for seniors is essentially a healthy diet encouraged throughout all lifespans, though it does also consider age-related changes projected to occur, including compromised muscle and bone strength. Reduce the risk of such adaptations and enhance quality of life with these 5 healthy foods for seniors to enjoy! Good eating practices are generally taught at a young age, primarily in hopes to embed healthy habits for a lifetime. 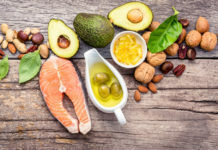 In fact, nutrition for seniors is essentially a healthy diet encouraged throughout all lifespans, though does also consider age-related changes projected to occur, including compromised muscle and bone strength. Reduce the risk of such adaptations and enhance quality of life with these 5 healthy foods for seniors to enjoy! Although individuals remain mostly fearful of the word “carb,” choosing whole grains over refined products tells a different story. Compared to its refined counterpart, whole grains offer significant fiber along with valuable B vitamins. Whole grains include whole wheat breads and pastas, oats and cereals, rye and quinoa. “Eat your vegetables!” is much more than a topic of conversation at the dining table as a kid. Naturally colored produce is bursting at the seams with nutrients. Produce with a high water content, such as watermelon and cucumber, can also assist in good hydration status. If tired of raw produce, try roasting veggies, transforming apples into applesauce adding berries to Greek yogurt, mixing spinach into pasta sauces, and enjoying spaghetti squash as pasta noodles. The importance of protein cannot be underestimated in the elderly population. Inadequate protein intake can bargain health in multiple fashions, including weakening muscle strength, decreasing immune function, poor wound healing, and longer recovery time from illness. 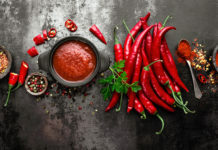 Include high-quality proteins such as meat, poultry, seafood, and eggs along with plant-based sources, including beans, lentils, along with these 10 underrated meat-free protein sources to try. “Drink your milk to build strong bones” continues to expand into senior health, as its consumption is generally inadequate in this population. Ultimately, calcium-supplying milk is exceptionally encouraged to lessen the risk of osteoporosis and bone fractures. 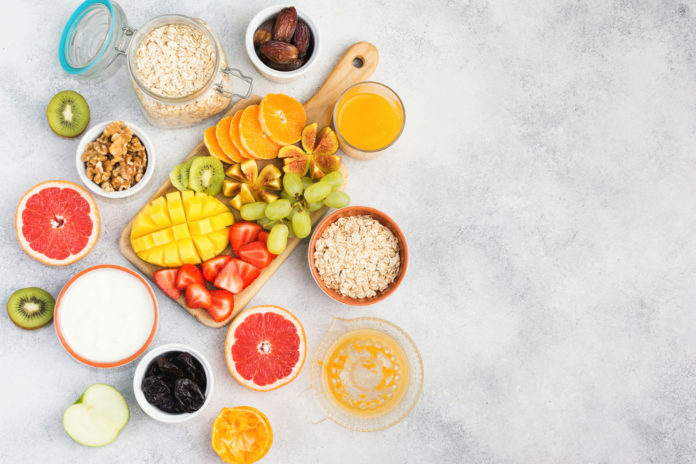 Also include more yogurt and cheese and if lactose intolerant or diagnosed with a dairy allergy, other whole grain cereals, spinach, almonds, soybeans, and fortified orange juice and plant-based milks are significant calcium sources to include in the diet. Fatty fish is primarily rich in the well-known omega-3 fatty acid, offering anti-inflammatory properties to the body and building up a strong immune system. Anchovy, tuna, herring, rainbow trout, and halibut are significant omega-3 sources, while other rich sources includes flaxseeds, pumpkin seeds, walnuts, and oils including olive oil. However, especially if having difficulties chewing and swallowing, fish may be a wiser option compared to crunchy nuts and seeds. 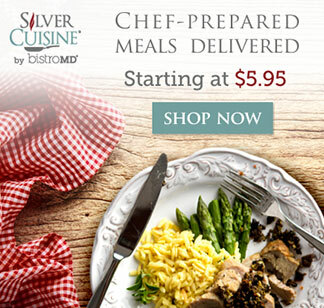 Whether desiring meal prep assistance or the guidance to eat healthier, Silver Cuisine can assist! 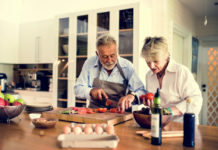 Silver Cuisine by bistroMD was created with seniors in mind, offering home-delivered, nutritionally-adequate meals to people aged 50 years or older. Seniors can enjoy and choose from a number of healthful meal entrees and snacks, including Canadian bacon and Swiss omelet, dark chocolate chip crepe with pork sausage hash, sliced ham with mustard maple sauce, lasagna with garden marinara, hickory smoked BBQ beef with Yukon gold potatoes, tilapia with smoky tomato sauce, honey bee cookie bites, cinnamon toast pretzels, need we say more…? For more assistance and to discover valuable senior discounts, visit the official Silver Cuisine page or call 844-404-FOOD (3663)!